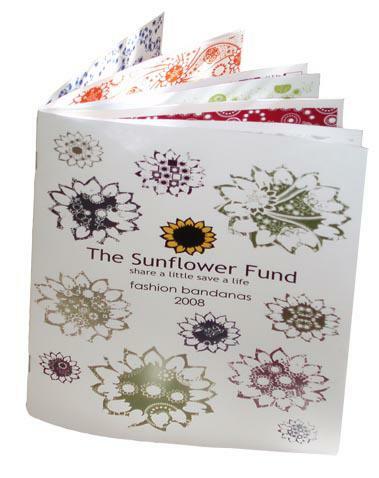 Every year Pick ‘n Pay runs a competition for students to design a fashion bandana for the Sunflower Fund which aims to ‘educate and recruit a viable source of well informed potential bone marrow stem donors’. How this (usually) works is: the students design, a panel selects a winner and the bandana is mass-produced and sold at all Pick ‘n Pay outlets. This year the Cape Peninsula University of Technology 3rd yr Surface Design Students have taken the brief and created something absolutely fantastic. Instead of having only one design and one ‘winner’ the class put together a range of ‘winning’ designs. These have been presented to Pick ‘n Pay in a booklet format which they hope will go into production alongside the range of bandana’s to bring awareness to this campaign. Clockwise: Shannon Russel, Ashleigh-Jayne Coetzer, Chantal Clarys, Zanne-Mari Blom, Inge Van Der Post, Sakinah Nazia Hassim, Hesere Gildenhuys, Miriam Haynes and Monica Rademan. I think, if I HAD to choose, the above three would be my favourite (in no particular order). 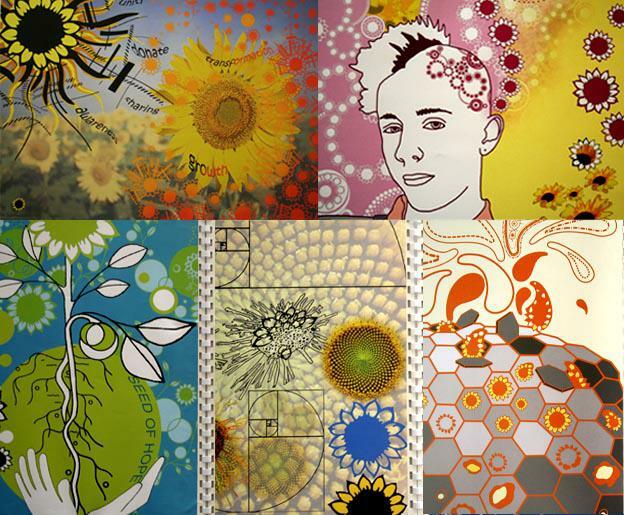 I love the way that Kirsti van Zyl drew inspiration from the tartan pattern and turned it to ‘radiate’ sunshine from the sunflowers. Karen Human’s design refers to folklore and quilting but I think there is an African feel to the design (referencing to Ndebele patterns) which is most successful. Lastly, I think the flow that is created by Weyers Marais’s design is great. The elements link together forming a unified design that works very well. On top of doing this, they created story boards or concept boards for each design. Below are a select few. This is a fantastic project and congratulations to all these students for designing such beautiful bandana’s. This entry was posted in Blog and tagged bandana, Cancer, Cape Peninsula University of Technology, Cape Tech, CPUT, Design, Students, Sunflower Design Competition, Surface, Textile Design. Its Weyers here. I saw our bandannas on your blog and just wanted to say thanks so much for putting them up!! Really appreciate the exposure! Starting my blog soon, will contact you as soon as I have it up. Thanks again for the talk the other day, really inspiring! Inge here. 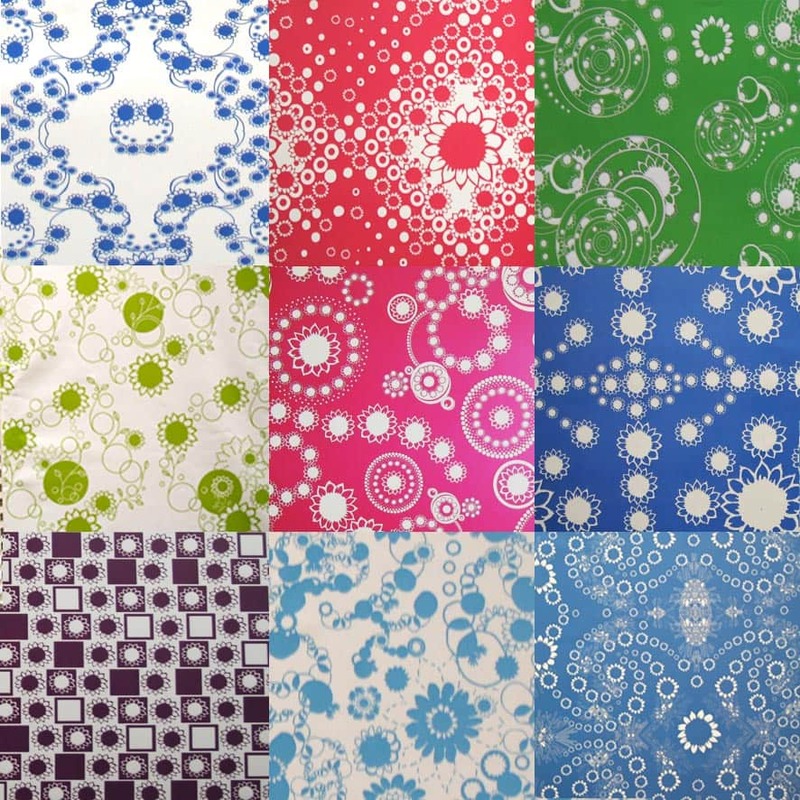 It is so exciting to see our bandannas on your blog, thank you so much for posting them. And thanks so much for the talk last week, it really inspired me to get up off my bum and actively start doing something…. Hi Wendren, It is absolutely amazing coming on your blog and seeing our designs there, cant describe how much that means…thank you. And thank you for your talk, inspired me so much,was exactly what I needed as the plans for my very first business is well on the way.Will let you know as soon as my blog is up and running!Good luck with everything!! Thanks for all your wonderful comments. Lmk when youre blogs are up and running – Id love to see them.